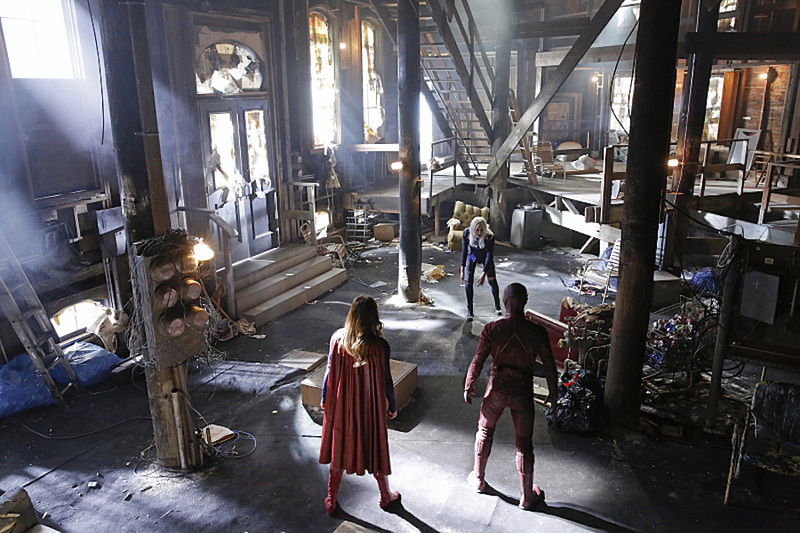 After months of fan speculation and weeks after the official announcement, the crossover between Supergirl and The Flash is almost upon us. 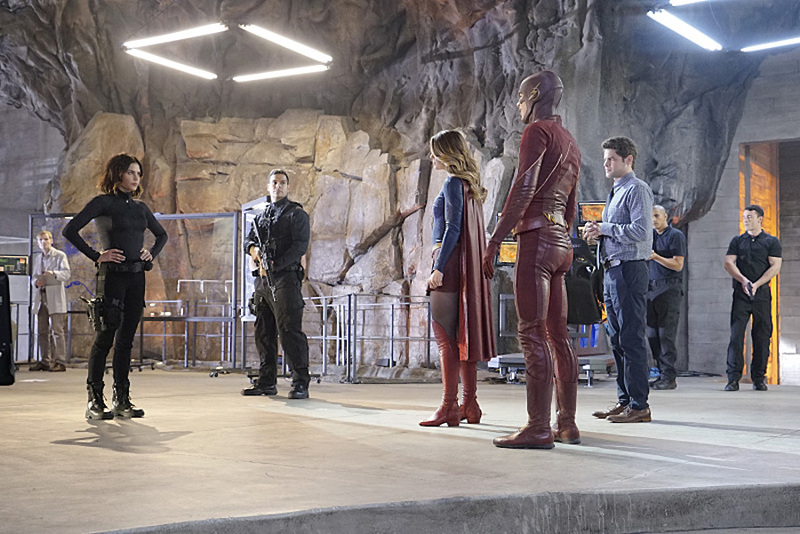 Traveling from his CW DC universe to the CBS alien-filled DC universe, Barry Allen will team up with Kara Zor-El in “Worlds Finest.” After seeing a few sneak peeks, official images and a brief video from the episode have finally been released, giving us a taste of what’s to come in less than two weeks. The circumstances of how Barry gets from Central City to National City are still unclear, though with his super speed, it’s not as difficult to cross those multiversal boundaries. Regardless, he’ll somehow meet up with Kara, and they’ll be spending a lot of time together, both in their superhero guises at the DEO and in their civilian identities at CatCo. 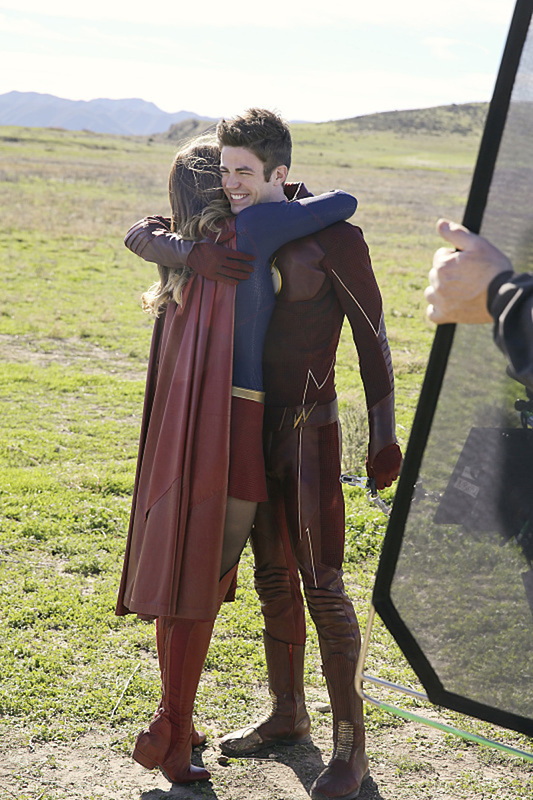 Barry will also meet the other members of Supergirl’s supporting cast, and even in another universe, Barry has no trouble making friends. That said, as you can see in the gallery at the bottom of the page, Lucy Lane (who appears to have taken a leadership role at the DEO) is eyeing the Scarlet Speedster with distrust. 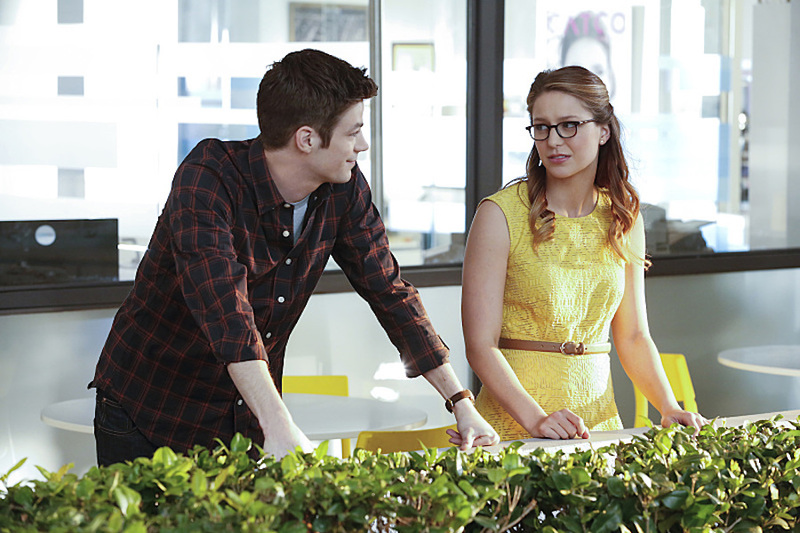 As for who Supergirl and Flash will be facing together, that honor belongs to Leslie Willis, a.k.a. Livewire, and Siobhan Smythe, a.k.a. 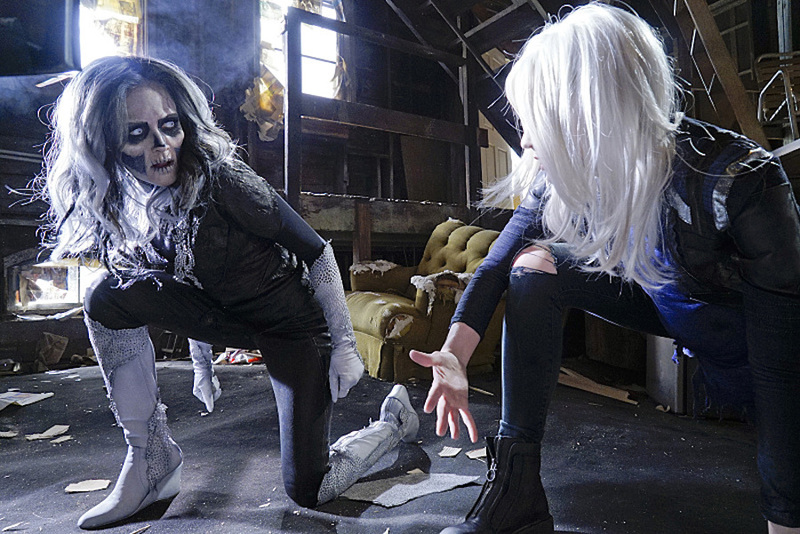 Silver Banshee. 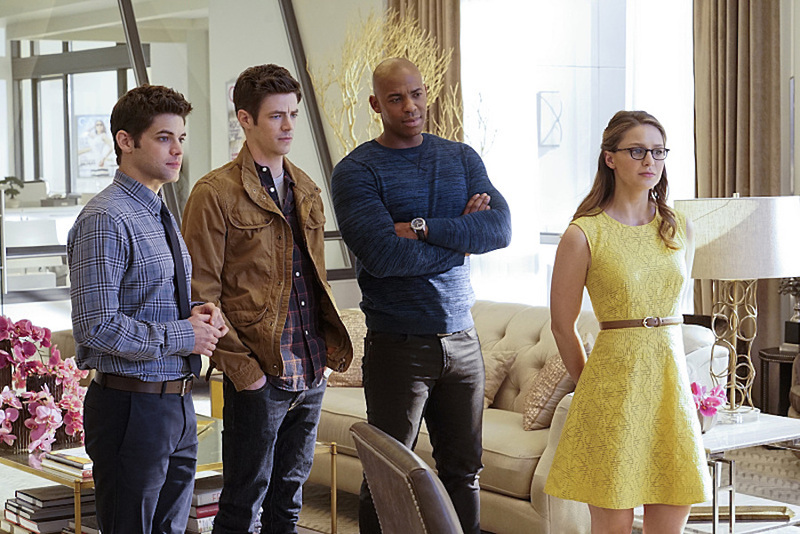 Leaked set photos showed the two villains working together, but now it’s clear who they’ll be taking their anger out on in the crossover: Cat Grant, the woman who ruined both their careers. 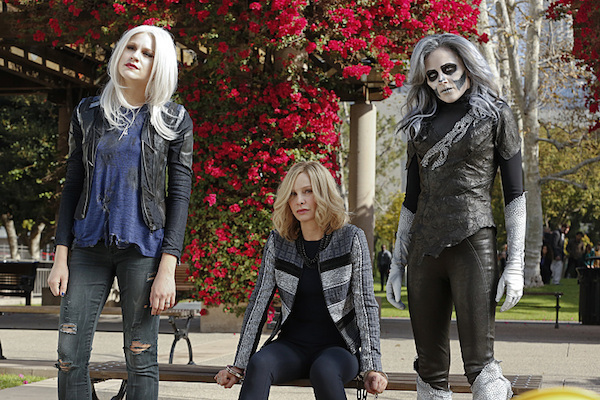 Leslie became Livewire after being caught in an electrical storm in the appropriately-named episode “Livewire,” but Siobhan has yet to make her transformation into Silver Banshee. Presumably it will happen either next week in “Manhunter” or at the beginning of “Worlds Finest.” We’ve already seen how scheming Siobhan is as a civilian, but with new abilities, she and Livewire are going to be tough to handle, even for two heroes. As a bonus, CBS also posted this preview of the two heroes getting ready for a race, both heroes among the fastest in the DC Comics mythology. This is an homage to The Flash and Superman’s many races in the comics, but this time the Girl of Steel will be the one showing off her speed. Of course, stopping the bad guys and finding a way to get Barry home take priority over a race, but considering that Barry still has access to the Speed Force in Kara’s universe, my money’s on him being victorious. 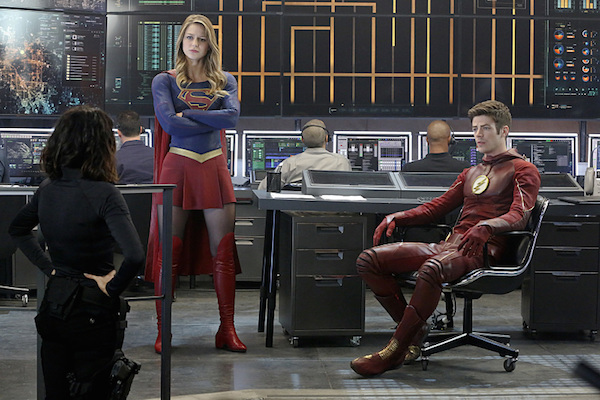 Fans can catch Supergirl joining forces with Flash when “Worlds Finest” airs Monday, March 28 at 8 p.m. EST on CBS. In addition, take a look at more images from the episode, below.